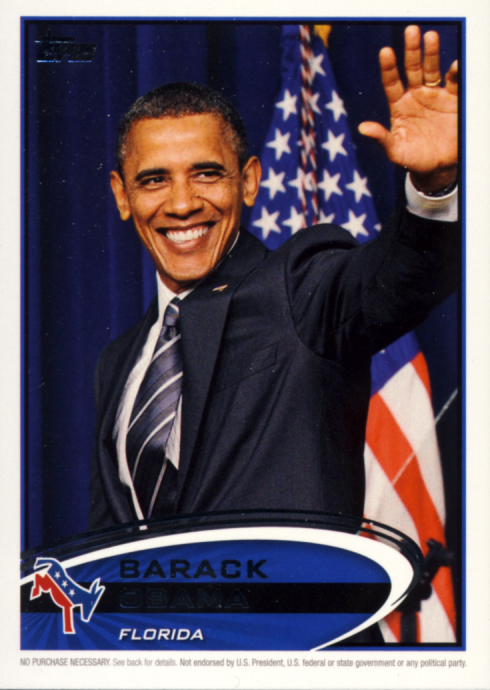 Earlier this year Topps announced it would be bringing a special program to 2012 Topps Baseball Update Series called Presidential Predictors. 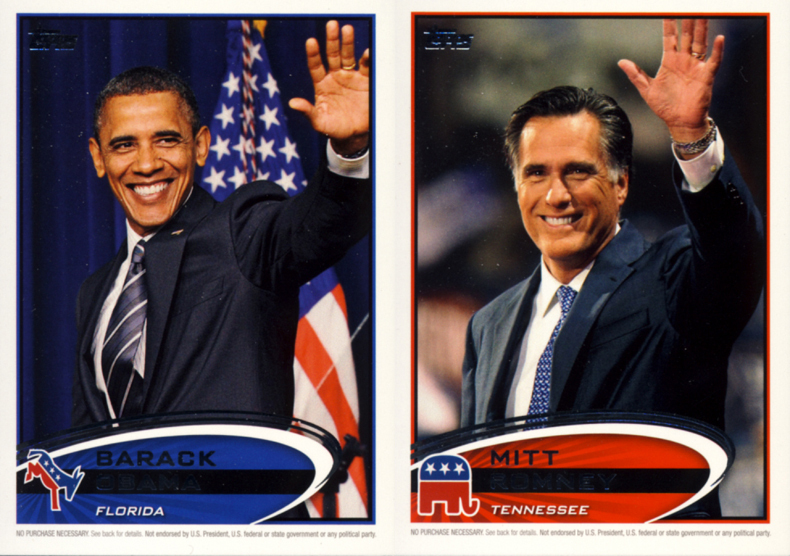 For each of the 50 states, code cards of both Barack Obama and Mitt Romney were made and inserted into packs. Collectors who found these cards could go online and enter the code on the back of the card for a chance to win a Presidential Patch card numbered to 50 of the winner of the 2012 Presidential election. In order for your code to be eligible to win one of these limited cards, the Candidate on the code card had to carry the state listed on the card. Now that the election is complete and each state has a winner, we now know which code cards are eligible to win one of the 50 total prizes. One lucky winner will be randomly selected for each of the following Candidate and State combos. If you have Barack Obama and the following states, your code card is eligible. 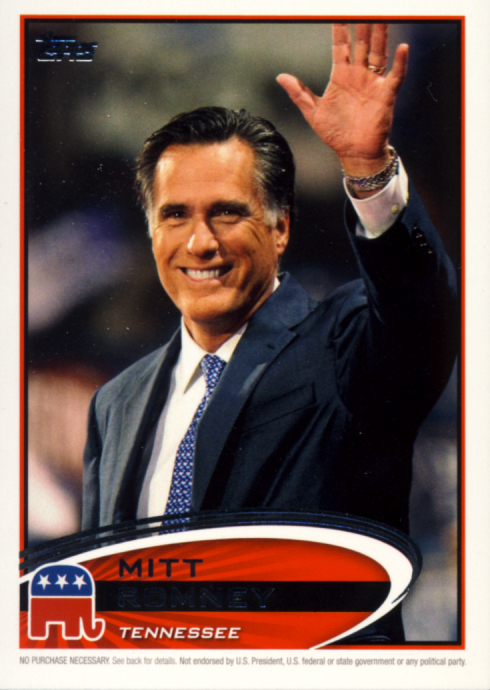 If you have Mitt Romney and the following states, your code card is eligible.